Turn your kids into the artists they truly are. 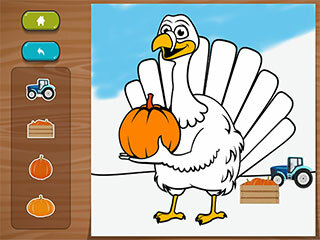 With Kids: Farm Colouring it will be easier than ever before. 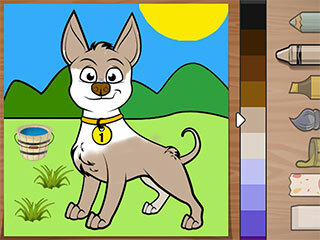 In this game they can create pink dogs and blue cats and go even further beyond your imagination. All of that thanks to full colour palette and various other designs that can be applied to anything. There are no limitations. The goal of the game is to colour each picture. 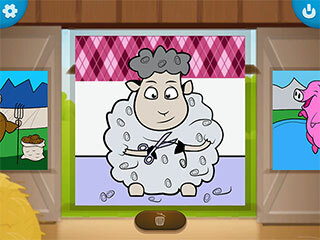 You can use various colouring instruments, colours, stickers and the "undo" button. Settings and instructions are protected by a simple parental lock. 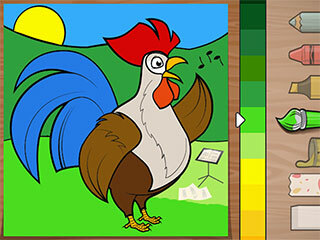 Choose a colouring instrument, a suitable colour and paint over the picture with your finger. Tap other onscreen icons for corresponding action (settings, exit, back...).Choose a colouring instrument, a suitable colour and paint over the picture with your finger.